Lungyen Group invited Shanghai Landscape Architecture Design Institute Co., Ltd.- A-level design institute in China and also the leader in the landscape and architecture design industry, to design recorded landscape in the Centurial Cemetery. 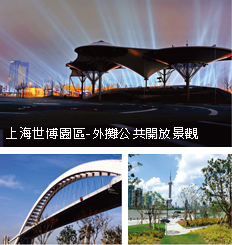 Having abundant experiences in design and having received various domestic and international awards, Shanghai Landscape Architecture Design Institute Co., Ltd. employs many professionals in aspects of landscaping, ecology, planning, architectures, and structures and features many experts in landscape greening. Shanghai Landscape Architecture Design Institute Co., Ltd. not only designs landscapes, but also focuses on ecology as its root of design, deeply convinced that scenery can become vital and beauty may become meaningful by holding this concept of design.